Are you looking for a cute Christmas gift for your small pet then you are in the right shop to find them! 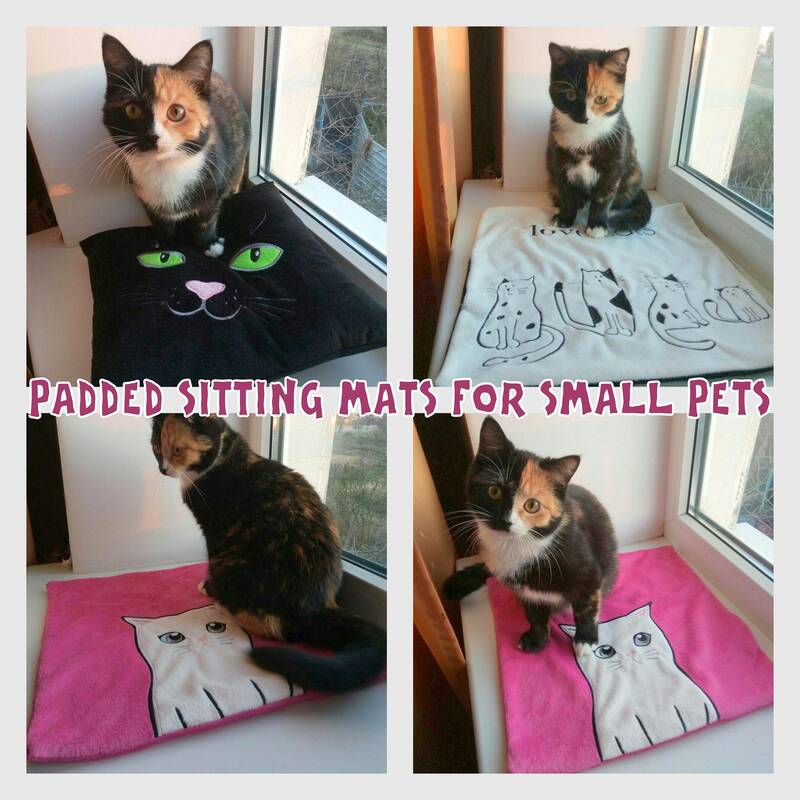 Limited edition sitting/sleeping mats available in pink, black or black & white. They are padded to keep winter drafts away. Each bed is made from soft fleece fabric and are approximately 13x13'' (.33cm). Please allow small size variation as these are hand-made. Suitable for kittens, small cats and other small pets.